This Halloween your dog can be dressed up to thanks to this Chewbacca dog costume. 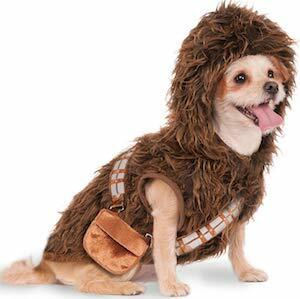 If you and your dog like Star Wars and dressing up then Chewbacca is the perfect outfit for your dog. 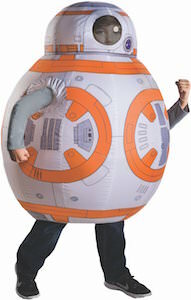 The dog Halloween costume is available in a wide range of sizes to fit perfect. The dog costume is a jacket with a hood and it has the same fur as Chewbacca has and to make the costume even more real the added the bag he carries connected to the bandolier. Besides dressing your dog in this costume now you just need a fun costume and you are ready to walk the dog on Halloween.